EssentOne is the one and only fully-integrated Business Management System designed to fit the unique needs of your business. Essent offers all of the components necessary to implement a successful solution. With EssentOne you can manage your business using a complete software solution that offers unprecedented power, flexibility, speed, and ease of use. Essent software components work together to form a complete, fully integrated Business Management System with the power to transform your business. EssentOne builds a rock solid foundation for business by linking sales and marketing; inventory and purchasing; fulfillment and shipping; art services and the web. Engineered specifically for distributors and suppliers, Essent software solutions unlock the full potential of your business by eliminating data reentry, costly errors, rote tasks, and workflow complication. 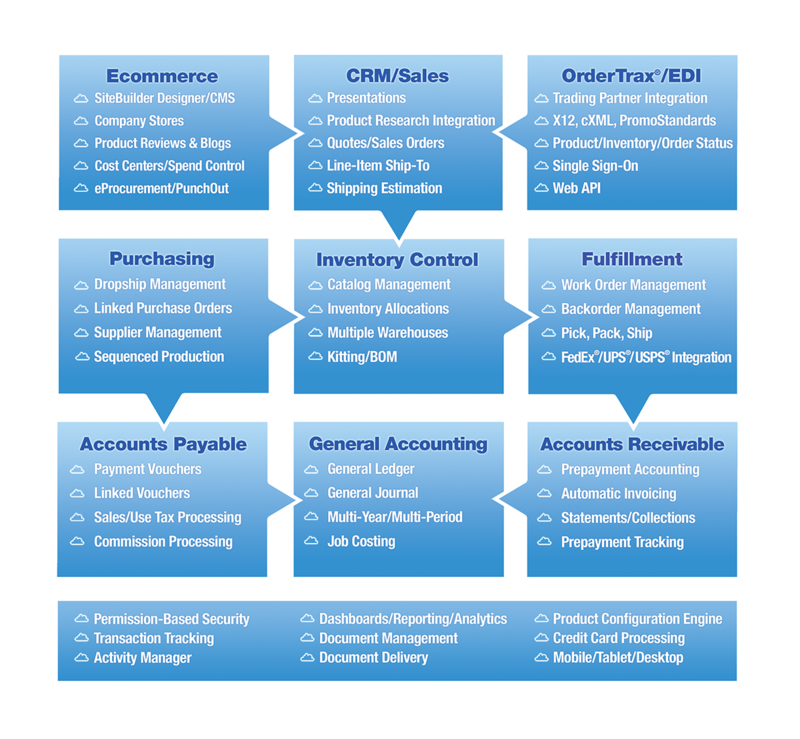 Full-integration gives you the power to Maximize Profits, Streamline Operations, Cut Costs, Increase Customer Satisfaction, and Optimize Productivity.